Regardless of your background, every person has been taught that they should help others who are in need. Some people do this by working with the sick or poor. Others find that working with children or the elderly fulfills this need. 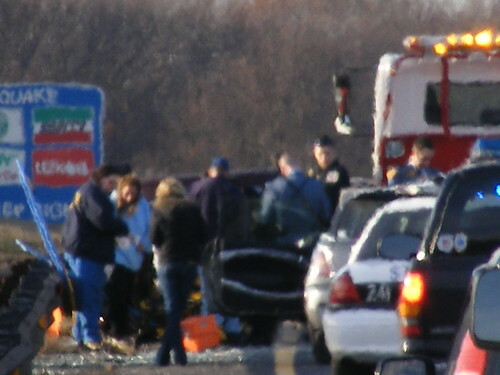 Others make themselves available to strangers in their time of need.While each of these actions are commendable, as are any other action when one human being helps another, the act of helping a stranger in need, especially in the event of an accident, can lead to serious issues for the person providing the help. You need to exercise extreme caution when assisting someone in distress. Otherwise, you may cause additional harm to the accident victim or you may end up getting hurt yourself. In any major city there are road perils that can cause serious accidents and even fatal injuries. Good Samaritans must take the following information to heart before performing any heroic acts. Stay Safe. The first thing that you must always remember is to stay safe when you are helping someone else. Do not take elaborate risks to provide help because you could also end up injured or killed. For instance, do not step out into traffic to direct oncoming cars unless you know for sure that you are able to control the traffic, such as on a two-lane road. Stay Out Of The Way. Once emergency vehicles arrive, you need to stand back and allow them to do their jobs. If you have any relevant information to provide the police about how the event happened, wait until they are ready to interview you. Getting in their way while they are trying to save lives can cause you to be injured by emergency vehicles or make you liable if the injury victim did not receive care in enough time. Always remember that time is precious to an injury victim and can make a real difference in their recovery. Allow emergency workers to do their jobs by staying back until your information is required. Do Not Move The Victim. Unless it is critical to move the victim to prevent further harm, such as an impending car fire, it is in your best interest as the Good Samaritan and in the best interest of the injury victim to leave them where they are. The best thing that you can do is call for emergency services and stay with them, talking calmly and reassuring them that help is on the way. Only apply life saving techniques if you absolutely know how to do them. Any physical contact that you have with the injury victim that could result, or does result, in further injury will make you liable. Most people who stop at a scene of an accident do so with the best intentions. They want to be the person that helps because they would want help in the same situation. It is actions and thoughts like these that keep us all a little bit more human. However, the kind act must be done with caution to ensure that no one else, including the person administering the help, is injured. Does this mean that you should not stop to help someone in need? Absolutely not, in fact, the world would be a kinder place if everyone felt the need to help others. It just means that you should always take precautions when administering help so that no further harm occurs. Nadine Swayne is a professional writer who gives insight to the “other side of the coin.” She was able to find information for this article by performing online research using terms like good samaritan and car accident attorney as search criteria.